Yesterday was a big day for Playground Games. 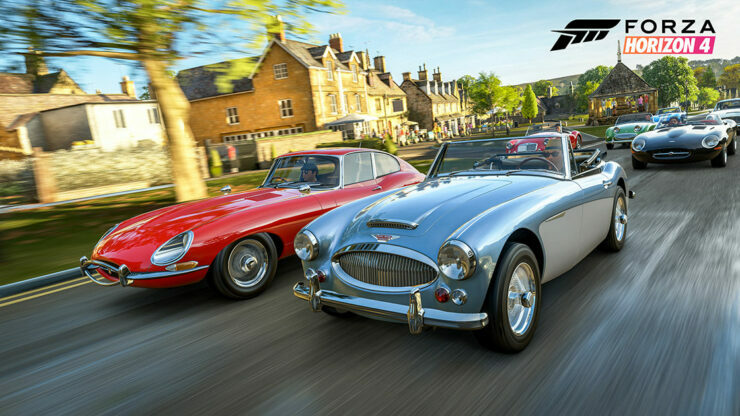 Not only the UK studio was acquired by Microsoft, but they also revealed Forza Horizon 4, which for the first time in the franchise will allow Xbox One X users to play at 60FPS. Ralph Fulton appeared on the Twitch E3 live show and revealed new juicy details about the shared world racing game, set in Britain. The game world will be about the size of the one seen in Australia, but with the added bonus of dynamic seasons lasting one week of real time. The world of Forza Horizon 4 is the same size as Australia (in Forza Horizon 3) but rendered in four different ways. It’s a whole lot work than we normally did. Here’s the really neat thing that I haven’t spoken too much about yet. It’s a shared world game, everyone is living in the same world at the same time, so everybody is synchronized. We’re sharing the same experiences. Seasons last a week of real time and then they will move forward, Spring will become Summer, Summer will become Autumn et cetera. When that happens we’ll all go to explore the new season and discover the things that season has to offer in terms of driving experiences, gameplay and content. One thing we’re talking about this week is that no two seasons are the same, obviously, but also no two Winters will be the same going forward, no two Springs will be the same et cetera. There will be a bunch of stuff that is constant, but there will also be a ton of new stuff with each new season because what this team is committed to doing is continuing to support the game after it ships this October, continuing to bring new content and the seasons are really a great vehicle for doing that. Unlike its predecessors, Forza Horizon 4 will have a fully synchronized world with servers of up to 72 players each. Fulton also pre-emptively addressed the potential issue of griefing. There’s a bunch of matchmaking criteria that kick in and part of that is to make sure we’re matching you whenever we can with the servers where your friends are playing. We have servers of 72 players (each). What we’ve created is this cool tech that basically allows you to cycle between these mini-universes as you move around the world. We have a feature called auto-ghost. Unless you’re in the same co-op session, the other drivers cannot collide with you to grief you. Other additions confirmed by Playground include the ability to purchase property and even a route creator where everyone will be able to design custom races and then share them with the community at large. Forza Horizon 4 is out October 2nd for Windows 10 PC and Xbox One, included with the Xbox Game Pass subscription.